To anyone who understands the real history of the Arab-Israeli conflict, and has read the many meticulously well-documented books on this topic by scholars and activists,1 the mainstream media coverage of Israel’s war on Lebanon and Gaza is woefully inadequate and decidedly biased. Again and again, over the last two weeks, the media in the US have told us that Hezbollah is to blame, that Israel is simply defending itself, and that “terrorism” must be stopped by any means necessary. Yet, there are cracks in this otherwise well-oiled propaganda machine. This is not surprising: ordinary people in the US, unlike their rulers, don’t like death and destruction. This was the lesson that sections of the political elite drew after the defeat of the US during the Vietnam war: the media cannot be allowed to show casualties as it turns people off war. Since then they have put in place an elaborate system of media control, which among other things, has restricted journalists’ access to the scene of battle. This ensures that casualties are not covered and war is presented as clean and anti-septic, involving laser-guided missiles and precision bombing. As Yaron Deckel, of the Israel Broadcasting Authority, observed “a war is not a pleasant thing . Look what happened when the U.S. invaded Afghanistan and Iraq. We saw a lot of the U.S. Army. And we haven’t seen a lot of the other side, and there were many casualties, both from the Afghanistan people and the Iraqi (sic).”3 When it comes to the actions of Israel, the US’s most important ally in the Middle East, the media similarly adopt wholeheartedly the framework set by political elites as well as various pro-Israeli propaganda groups. 1 See for instance, Noam Chomsky, The Fateful Triangle: The United States, Israel, and the Palestinians, Pluto Press, 2000; Lance Selfa (ed), The Struggle for Palestine, Haymarket Books, 2003; Edward Said, The Question of Palestine, Vintage, 1992; Nasser Aruri, Dishonest Broker: The Role of the United States in Palestine and Israel, South End Press, 2003; Norman G. Finkelstein, Image and Reality of the Israel-Palestine Conflict, 2nd edition, WW Norton, 2003; and Finkelstein, Beyond Chutzpah: On the Misuse of Anti-Semitism and the Abuse of History, University of California Press, 2005. 3 Howard Kurtz, “Coverage of Mideast Conflict,” CNN Reliable Sources, July 23, 2006. Available on Lexis-Nexis. 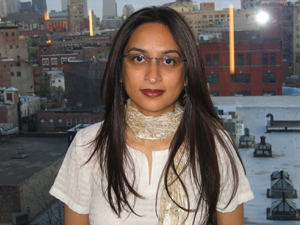 Deepa Kumar is an assistant professor of Media Studies at Rutgers University. She is active in the anti-war movement and has written several articles on Islamophobia, the media, and US imperialism. See, also, her other articles in MRZine: “Danish Cartoons: Racism Has No Place on the Left” (21 February 2006); “Fighting Islamophobia: A Response to Critics” (3 April 2006); and “Amnesty Now!” (16 May 2006).